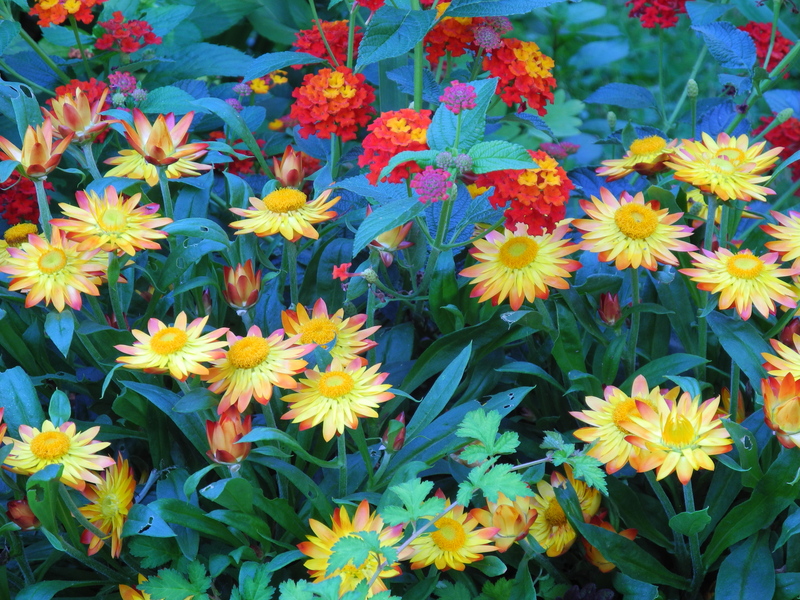 Are you growing strawflowers or lantana this summer? These colorful annuals are perfect for those hot summer days when lesser plants wither and shrivel. Heat-tolerant, these annuals from Proven Winners just keep blooming no matter what with no deadheading needed. Mine are in a large terracotta pot placed where they get plenty of sun and their non-stop color can be enjoyed. The strawflowers also have a little surprise in that come sundown, the perky blooms close up for the night, reopening the next day when the sun shines.